The Munich Security Conference 2018 (MSC 2018) which drew to a close last week, took place at critical and challenging moments, against the backdrop of an ever-evolving geopolitical landscape, with ensuing threats coming out from beneath a tidal wave of change that has rocked the world to the very core. Under the slogan “To the brink…and back, MSC 2018 provided an important platform for international leaders and senior decision makers from around the world to sit together and navigate through wide arrays of new and mounting challenges. The debate was intense on issues like artificial intelligence and modern conflicts, technology and security, cyber security, energy security, migration and the rising sense of protectionism. But of course, chief among the threats and challenges addressed, was the bloody trail of terrorism that still runs across the globe, knowing no borders, religion or race. Fresh impetus was brought to the ongoing discussions on what lies ahead post Dae’sh. Egypt’s Foreign Minister Sameh Shoukry conveyed two main messages. The first focused on the threat Dae’sh continues to pose, along with other terrorist organizations, and the growing need to understand that its military defeat didn’t spell the end of terrorism, but rather signaled a paradigm shift in the way terrorists operate. Hence, a vigorous and unrelenting response thereto, both nationally and internationally, is still called for. The unprecedented and heinous attack against Muslim prayers in Rawda mosque, last November, was a perfect example of how terrorist aim to switch tactics. An astounding blend of criminality and brutality that bears the hallmarks of Dae’sh, with a single aim to stay relevant; to grab the headlines one more time, after their delusional caliphate was buried in the sands of Iraq and Syria. The second message underlined the importance of ceasing double standards in the global fight against terrorism. There can be no way forward if we continue to differentiate between one form of terrorism and another; if we continue to address this nefarious phenomenon through the view of north-south prism; if we continue to label terrorism violent extremism, to call it acts of insurgency, or even go far to defend and glorify incitement to violence on the grounds of freedom of expressions. We are all fighting the same threat that endangers humanity, from which no one is immune. we shall be under no illusion that one country can do the job on its own. We have to share the responsibility, work together and forge a solid partnership to tackle this vicious phenomenon with an eye to all its economic , humanitarian and political implications. It must be crystal clear that our collective responsibility has to be doubled not diminished. Furthermore, the international community should do a lot more to prevent the creation of safe-havens, and to counter the funding of terrorism. States that facilitate funding of terrorism under the guise of charity should be brought to task. More attention must be given to the movement of foreign terrorist fighters as they straddle porous borders to spread hatred and inflict damage. We cannot tolerate states that continue to facilitate the movement of foreign fighter, without due concern for the security of other states, and in direct violation of Security Council resolutions. Egypt’s perspective is clear. It rests on credible and solid grounds, as it coincides with the ongoing operation “Sinai 2018”, the comprehensive military campaign, which bears witness to the heroic efforts of the Egyptian army and police, dealing a decisive blow to terrorists besieged in a small area in North East Sinai. 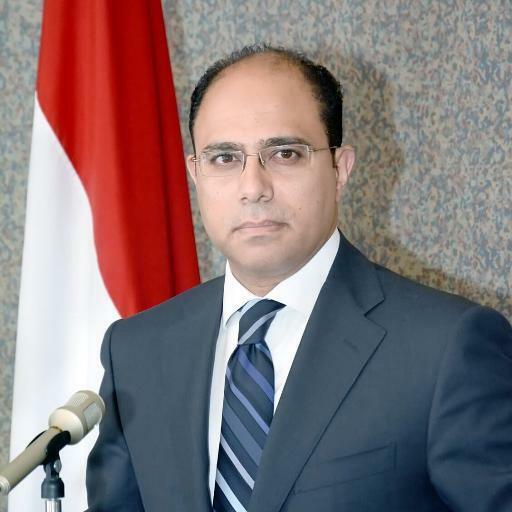 The accomplishments and objectives of the operation is proof of the state’s resolve and determination to root out terrorism in Sinai, and to follow through on its steadfast principles in the fight against terrorism, in protection of its citizens who have suffered the atrocities committed against them . Such resolve and determination is deeply rooted in a strong belief of the need to pursue a holistic counter-terrorism approach that goes beyond the necessary military and security action, to integrate all other ideological and socio-economic aspects. Egypt is the stabilizing force of the Middle East. It stands at the forefront of efforts in the fight against terrorism. As it confronts this evil, not just for itself but for the its region and beyond, it expects increased support, specially with much needed assistance and capacity building. Military and logistical support at this important timing is greatly significant in helping us prevent and irreversibly eradicate all forms of terrorism. Showcasing Egypt’s perspective on counter-terrorism.